Whether they have just graduated, received a promotion at work, gotten engaged, or reached another important milestone, it's time for congratulations! 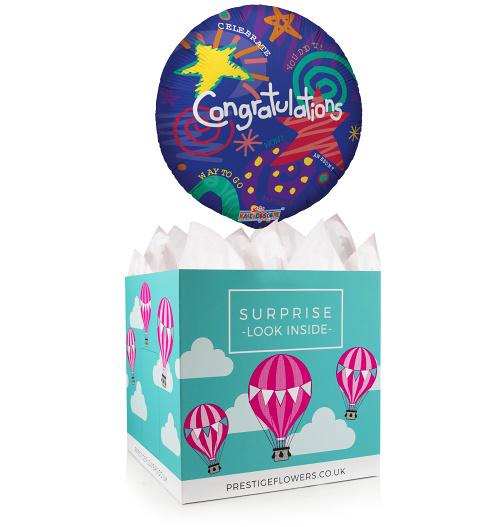 You can't go wrong with this lovely 18-inch helium balloon and gift box lined with tissue paper. You can add your own personal message and choose from optional extras like cake, wine, chocolates, or a stuffed bear.